National Rubber Corporation offers a reliable source for custom extrusion, molding and secondary fabrication services as per customer's request. They can produce tubing, cord, square, rectangle, U-channel, D-shape, P-shape, LIP quad and other complex shapes. 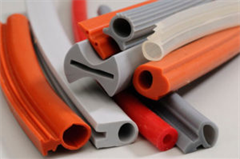 They can make products out of Silicone, Fluorosilicone, Viton®, Nitrile, Rubber, Neoprene, EPDM, SBR, Hypalon®, Butyl and many other conductive and non conductive elastomers. 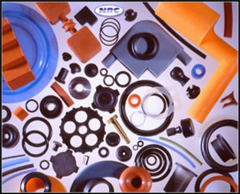 In each case National Rubber Corporation delivers quality products and consistent supplies that the customer requires. They deliver the quality and quick turn-around that you need. Because the best way to earn your business is to work harder than any one else. 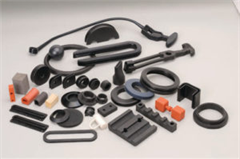 Whether you need extruded and molded rubber products, National Rubber will come through for you. 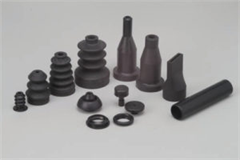 Custom Extrusion: National Rubber produces profiles in all standard and custom designed elastomers and are used in a number of industrial and commercial applications. Our custom profiles are produced to your exact specifications from your print or sample. Custom Molding: We specialize in the molding of a wide range of elastomers from organic rubber and engineered synthetic compounds to silicone using a variety of efficient manufacturing processes including compression, transfer, injection, and insert molding for custom products that conform to your design requirements. 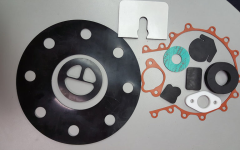 Die-Cutting: As a recognized nationwide supplier of die cutting services for a wide variety of industries and applications, we employ a wide range of rubber materials including EPDM, Viton®, Nitrile, and Silicone, to name only a few. We provide die cut product quantities from prototypes and short runs to large production runs. Secondary Fabrication: Our in house capabilities include: Corner Molding; Gasket Fabrication; Punching; Precision Cutting; Splicing; T-joint Fabrication; 0° — 180° joint; Windshield Glass Vacuum Ring; and Printing / Stamping. Custom Mixing: Using variable speed, 50 horsepower mixers, we can mix even the most demanding engineered compounds. Each mixer is followed by three high horsepower, variable speed control mills that can provide continuous batch blending. The result is total consistency from batch to batch.